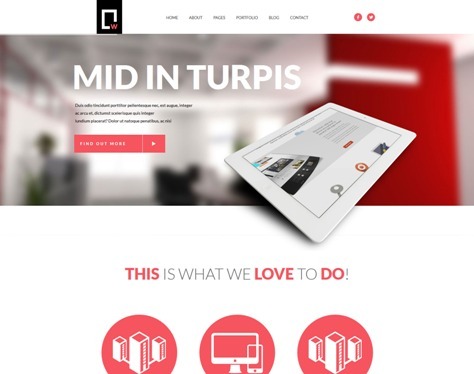 Proxima is a Responsive Business Multi-Purpose Theme. 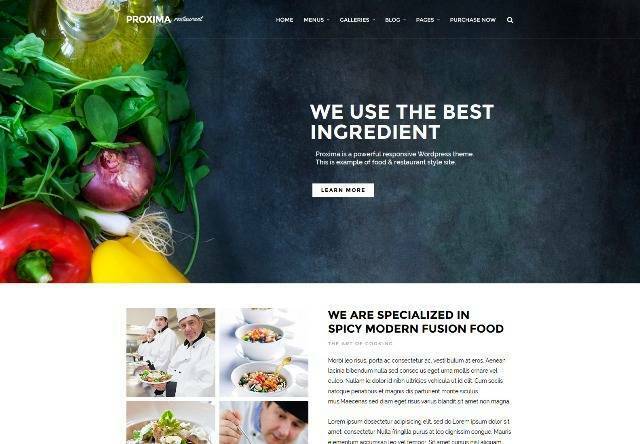 Proxima theme comes with Responsive Design, Drag&Drop Content Builder, Instant AJAX Search, Retina Ready, Sticky Main Menu Navigation, Portfolio AJAX Support, WPML plugin support for Multi-language, Parallax Background Effect, Unlimited sidebar and much more. Hazel is multi-purpose, creative, retina ready, responsive WordPress theme ideal for creative use, photography, portfolio showcase, modern businesses, agency, fashion, blog, shop, personal use, etc. 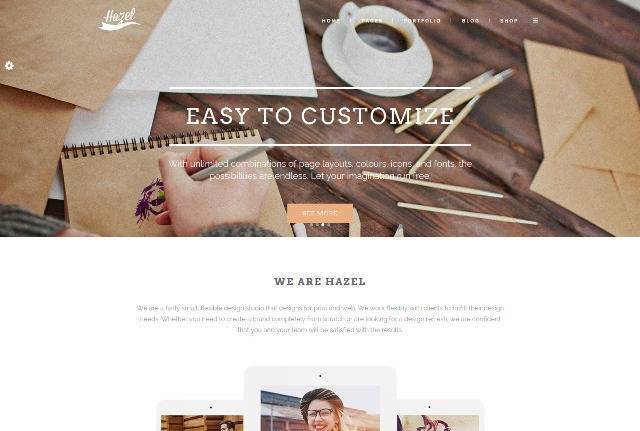 Hazel comes with unlimited combinations of header layouts, title area layouts, mega menu, side menu and tons of shortcodes, with powerful and flexible theme options, included page builder, it gives freedom to create beautiful web sites and unlimited number of different page layouts. 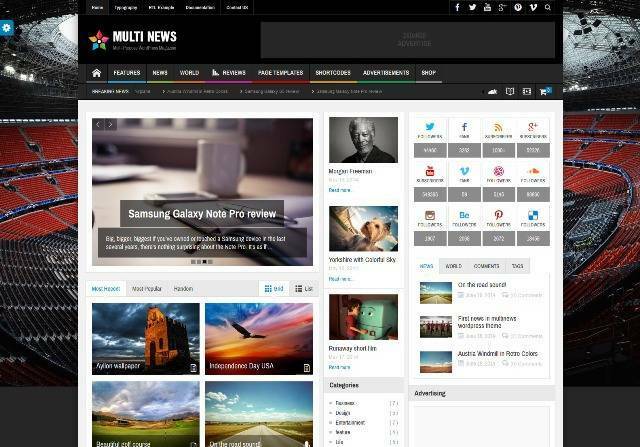 Multinews is a Multi-purpose WordPress for News and Magazine. 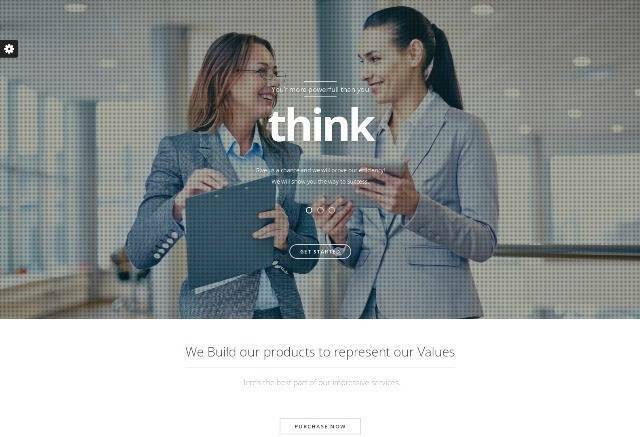 Features are Fully Responsive design, Page Builder, Retina ready, Awesome Mega Menu, SEO Optimized, Cross-browser Compatible, Multiple layouts, Unlimited Sidebars, Incredible shortcodes and much more. 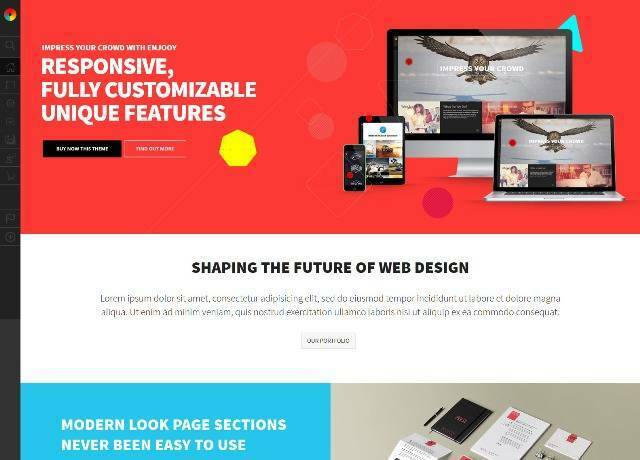 Enjooy is multi-purpose, responsive, retina ready WordPress theme suited for business websites, e-shops, agencies, nonprofits, blogs, portfolios and others. Enjooy theme includes custom widgets, multiple layout options and advanced theme options including colorpickers with unlimited colors to create your own color scheme and many more. Brazil is a Responsive, Retina-Ready WordPress theme with a minimalist, simple, elegant and clean style, a strong focus on contents and readability. Brazil is suitable for multipurpose websites such as business, company, portfolio or blog. Features are Wide & Boxed Layout Versions, WordPress 3.9 compatible, Built with HTML5 and CSS3, Built on the latest Boostrap 3 and much more. 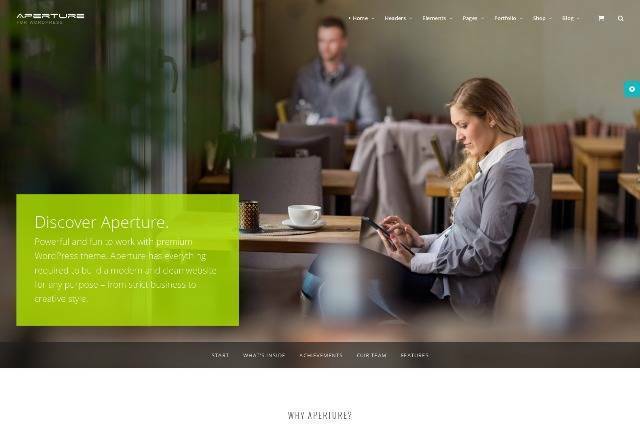 Aperture is a Full Featured WordPress Theme. The theme comes with 100% responsive design, boxed & full width layouts, advanced option panel, multiple blog layouts, drag & drop page builder, unlimited sidebar creation, unlimited header options and much more. 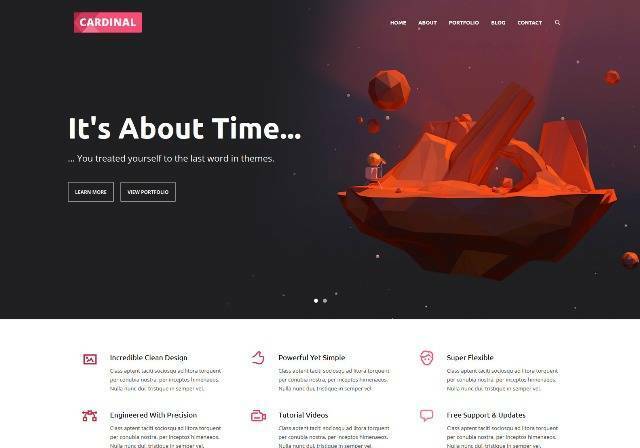 Cardinal is a Responsive WordPress Theme with retina ready, fully responsive, seo optimised, built in mega menu, full woocommerce support, bbpress & buddypress support, video background/parallax, image parallax, unlimited sidebars and more. 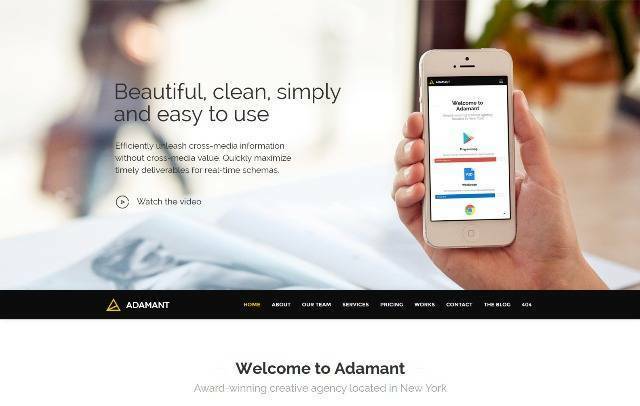 Adamat is Fully Responsive and Retina Ready One-Page Theme for Freelancers, Fotographers and Agencies. It is perfect for everyone who likes clean and minimalistic style. 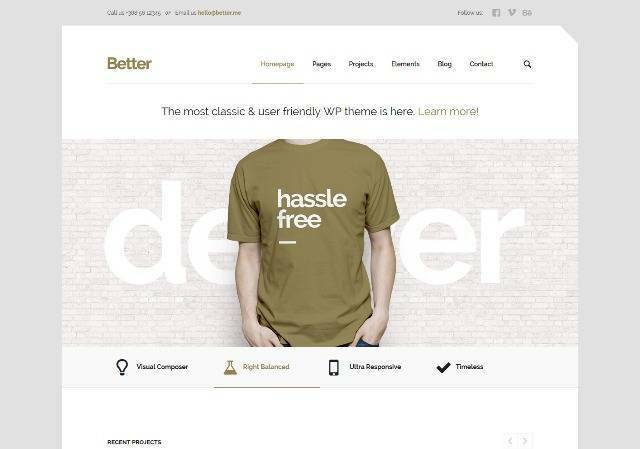 Better is a minimalistic & theme for your business. Characterized by pure simplicity, packed with a lot of high quality features such as shortcodes, layout builders, theme options, sliders, it can become the perfect solution for your online portfolio. 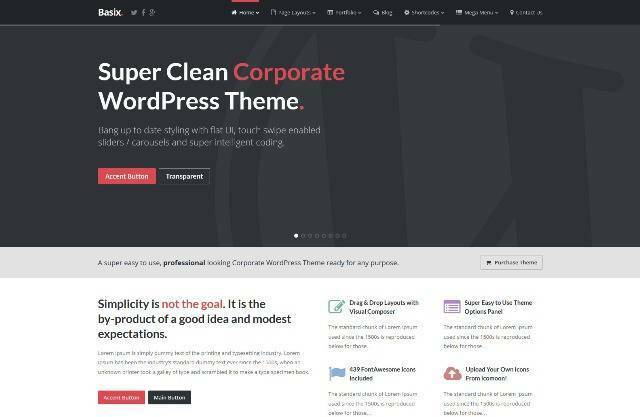 Basix is a super clean, easy to use corporate WordPress theme ready for almost any purpose. The theme comes with Ultra Responsive, Unlimited Colors, Unlimited Sidebars, Over 600 Google Fonts, Wide & Boxed Layouts, Retina Display Ready, Demo Data Included, Unlimited Portfolios, Built In Mega Menus and more.